Rock and ice trips, instruction, and lodging near classic routes. A weekend workshop tailored to participants planning to climb glaciated peaks as team members. This 2 day workshop builds on the fundamentals of the Introduction course or previous field experience…. 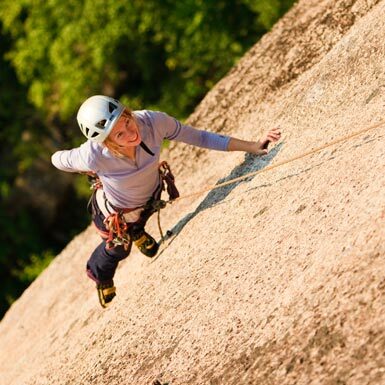 Basic instruction in transitioning from the gym to outdoor rock climbing. Safety, environmental, techniques, gear, communication. Gear is available, 50% deposit is required one week in advance. Self-Rescue Class, Extremely limited so register early. Preference given to trad leaders and those who lead on AMC trips. Email leader for details. May 12 rain date. Close to ice climbing in Crawford Notch, including Frankenstein Cliff and Willey Slide. Nearby rock climbing on Central Gully Slab on Mt. Webster. 35 minutes to rock climbing at Whitehorse and Cathedral. Good introductory rock climbing at nearby Square Ledge; 30 min. 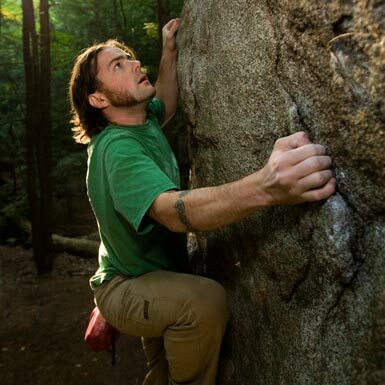 from classic climbs at Whitehorse and Cathedral Ledges. Base lodge for experiences winter climbers looking to take on Tuckerman or Huntington Ravine and Mount Washington. Mohican Outdoor Center is 25 minutes away from Mt. 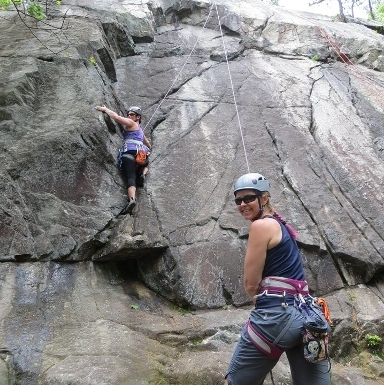 Tammany, the largest multi-pitch climbing area in New Jersey.